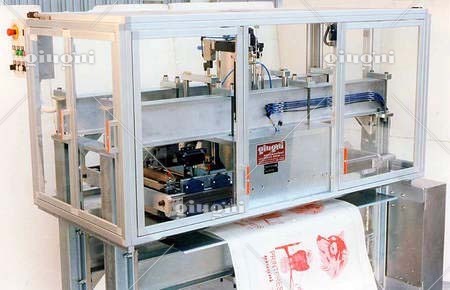 Maximum printing area: 600 x 250 mm. 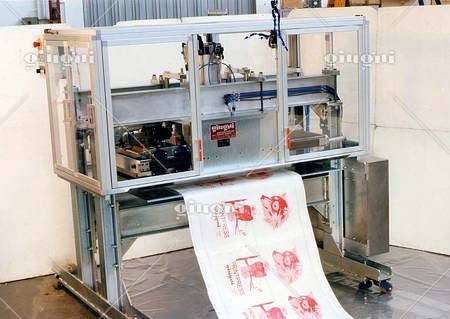 Operating speed up to 8 cycles per minute. 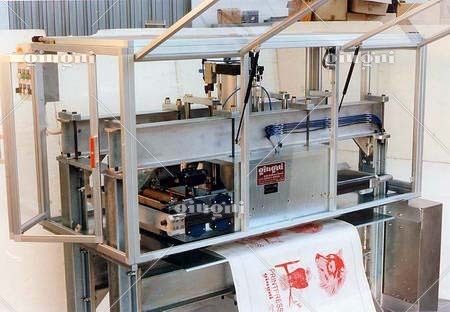 Notes: machine for high-quality printing of large surfaces. The Printpress 600 is a printing machine suitable for high quality printings on large surfaces. 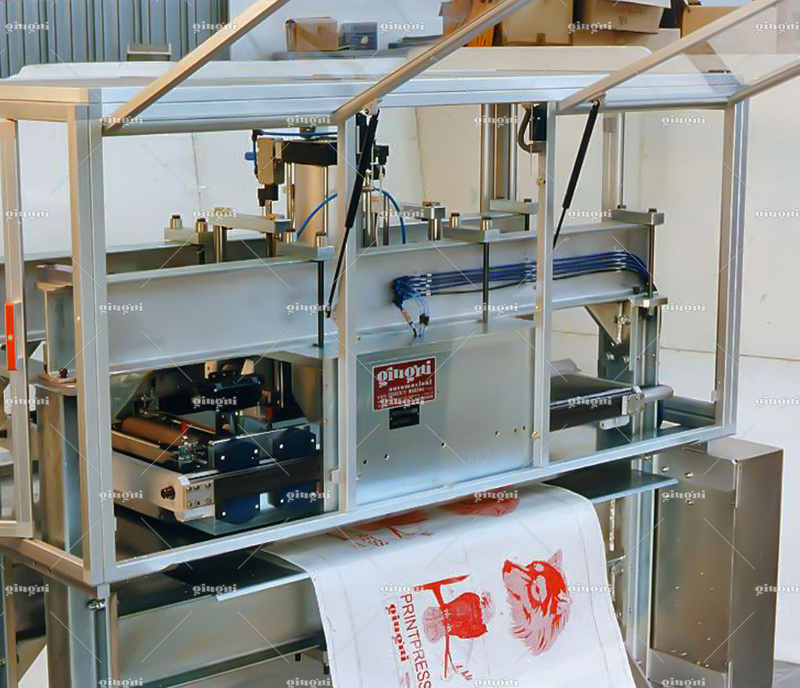 This machine can print on several different materials, such as paper, cardboard, plastic and metallic film, smooth or woven materials, and rigid or flexible laminates. 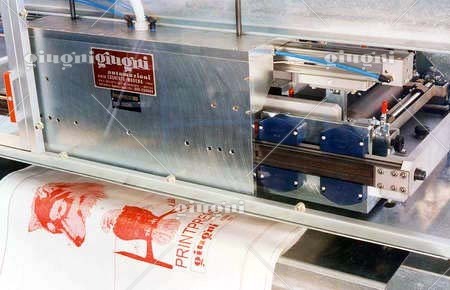 The printing quality is achieved by means of a flexographic inking unit fitted on a sliding carriage, powered by a pneumatic cylinder. During the horizontal motion of the carriage, an anilox ceramic roller inks the cliché, which is then pressed on the surface to be printed. 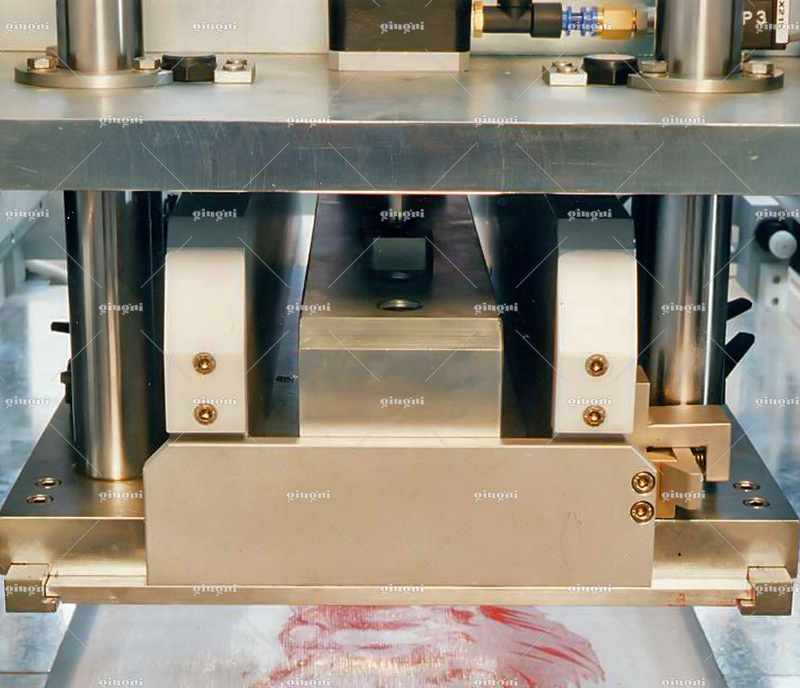 When the pneumatic piston returns to the starting position the cycle resumes. 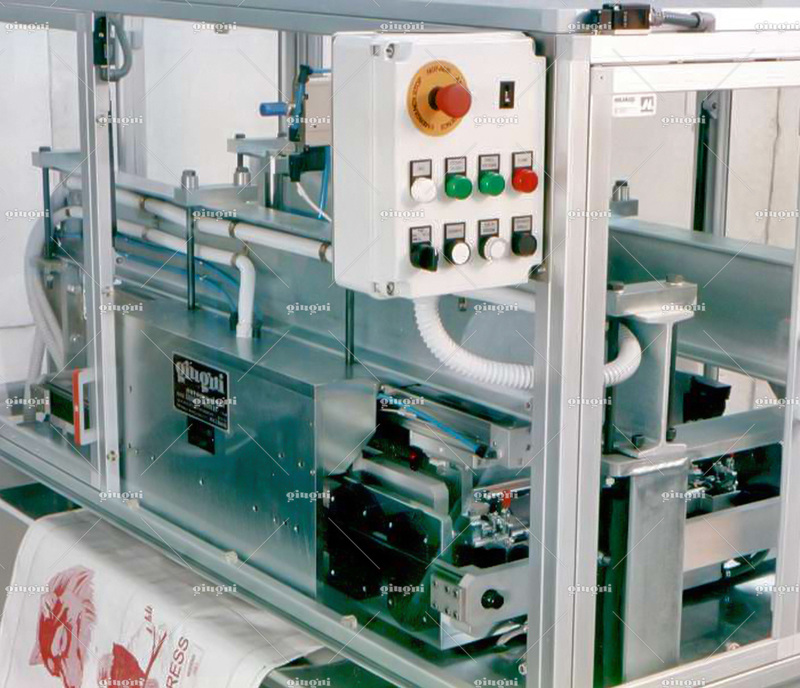 The machine works electro-pneumatically with PLC control.